Image 7252117: Small Chalkboard with Expert Advice. 3D. Image Description: Expert Advice Handwritten on Green Chalkboard. Top View Composition with Small Chalkboard on Working Table with Office Supplies Around. 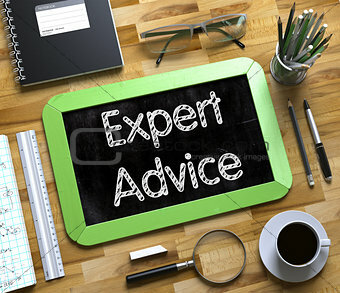 Expert Advice Concept on Small Chalkboard. 3d Rendering.